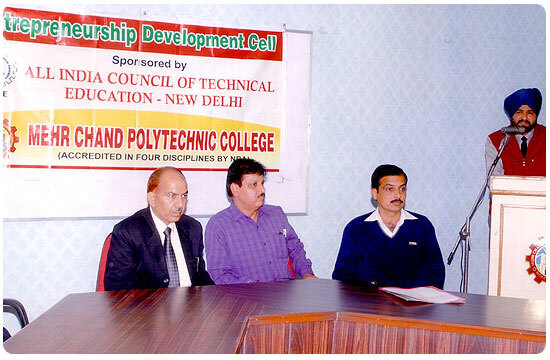 The EDC in Mehr Chand Polytechnic College was established in the month April 2008 .This cell is sponsored by AICTE, New Delhi. The main objective of this cell is to create awareness about entrepreneurship, and to encourage technocrats to opt for entrepreneurial career and become job giver rather than job seeker by using their innovative and creative abilities. Dy. Co-ordinator – Sh. Sundip Kumar, Lecturer Pharmacy.